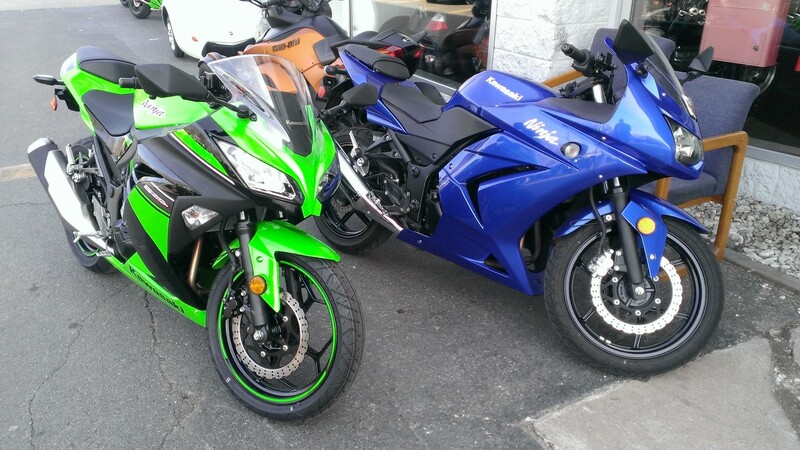 My trusty Ninja 250 and I first met 4 years ago and it's been a beautiful relationship. Aside from some troublesome starts in cold weather, it's been good to me. What better way to repay those years of reliability than to abandon it for a younger model with fuel injection and a 50cc larger engine. It's a tale as old as time. With Lila having approved my new big girl bike, it was time to haggle with the dealer. I found myself looking forward to what ended up being a 4 hour trek through sales pitches, trade-in appraisals and outright lies. My last purchase taught me no matter how much of a jerk you are, the sales people are either not allowed to kick you out or too desperate to move product. My trusty 250 went from "the most you'll get is $1500" to upwards of $2,500 to make my $3,000 cash I was willing to throw in match invoice and make the sale. 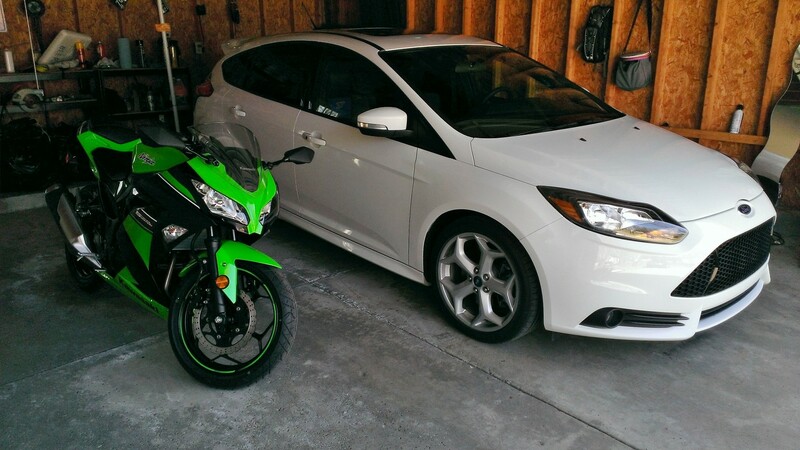 I took one last shot of my new and old bikes before abandoning my ex to whatever abuse the new owner was sure to dish out. After a kindly old man pointed out a cracked fender on my new bike which I was sure to get a IOU from the dealership for, I started up my new fuel injected baby and left that reliable old workhorse in the dust. 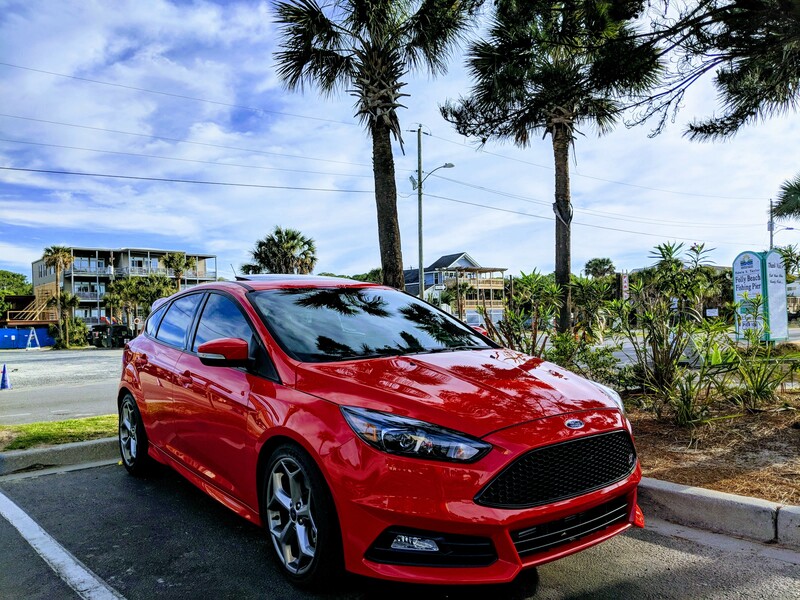 Keep your hands to yourself, Focus ST!